Yoga is about connection; it’s about transformation and, ultimately is a journey of deep discovery into the Self. We have carefully designed our training to guide you on the path to becoming a yoga teacher so that you can awaken to who you are and how you will serve as a teacher. 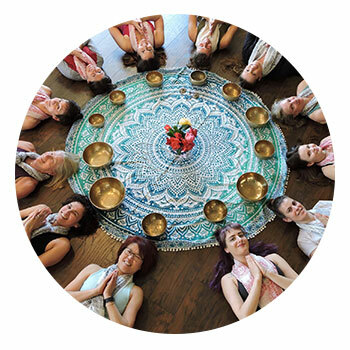 Our 200-hour Yoga Alliance Registered program is open to anyone who wishes to deepen their understanding of yoga and who wants to learn the skills to teach safe and inspiring yoga classes with confidence. Your yoga certification will be based in Hatha and Vinyasa styles of yoga; however, we believe in a multi-style yoga approach and include an emphasis on Yin and Restorative yoga and Ayurveda. Through our training your personal practice will deepen and you will be qualified to register with the Yoga Alliance at the 200-hour level. Tuition Cost – Early Bird by Dec. 1st $3100 after $3400. $500 deposit required upon registration and for early bird pricing. Payment plans available. Check out Yoga in the Center’s events page for details and registration.